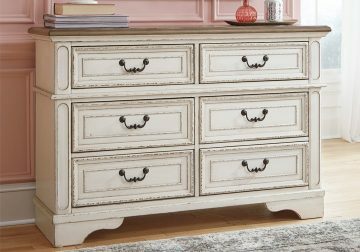 The Realyn bedroom set by Ashley is a traditional cottage design, featuring antiqued two-tone finish featuring chipped white cases with distressed wood finished tops. The framed drawer fronts and overlay decorative corbels dress the cases nicely. 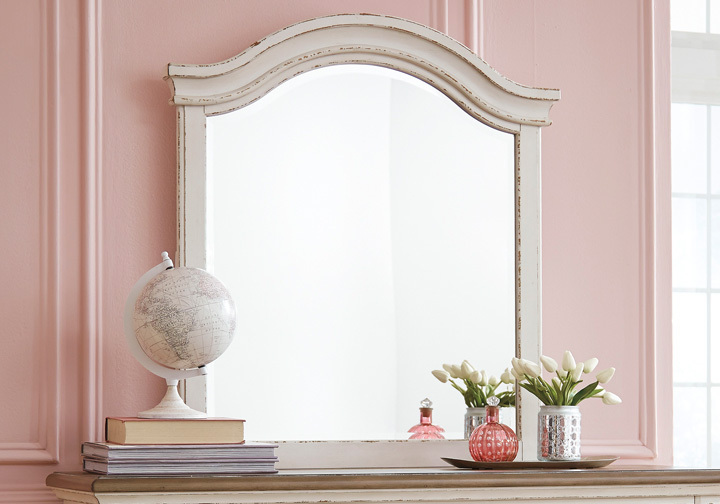 Ornately shaped headboard with inset upholstered cushion and matching mirror frame. 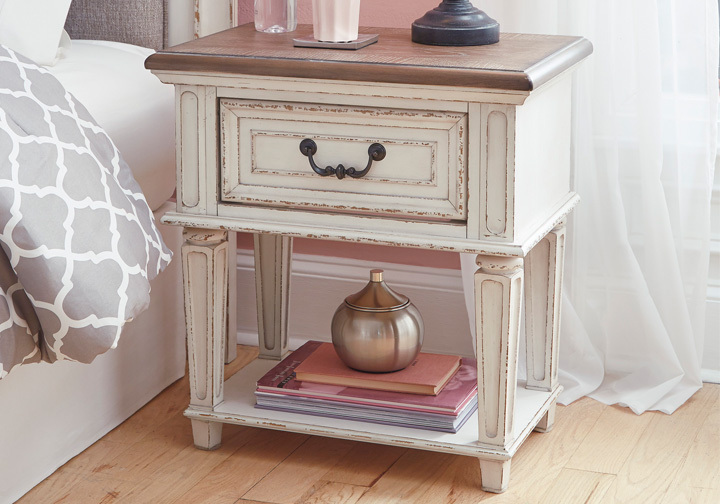 Night stand features an AC power supply with dual USB charging ports. *Set includes bed, dresser, mirror, and one night stand. *Chest in photo is not included, but is sold separately.